Nepali, known by the endonym Khas Kura also known as Gorkhali or Parbatiya, is an Indo-Aryan language of the sub-branch of Eastern Pahari. It is the official language of Nepal and one of the 22 official languages of India. It is spoken mainly in Nepal and by about a quarter of the population in Bhutan. In India, Nepali is listed in the Eighth Schedule to the Constitution as a language of India, with official status in the state of Sikkim, and spoken in Northeast Indian states such as Assam and in West Bengal's Darjeeling district. It is also spoken in Burma and by the Nepali diaspora worldwide. Nepali developed in proximity to a number of Indo-Aryan languages, most notably the other Pahari languages and Maithili, and shows Sanskrit influence. However, owing to Nepal's location, it has also been influenced by Tibeto-Burman languages. Nepali is mainly differentiated from Central Pahari, both in grammar and vocabulary, by Tibeto-Burman idioms owing to close contact with this language group. A referendum is a direct vote in which an entire electorate is invited to vote on a particular proposal. This may result in the adoption of a new law. In some countries, it is synonymous with a plebiscite or a vote on a ballot question. On April 6 a group of students demonstrated in the capital Kathmandu, protesting against the execution of Zulfikar Ali Bhutto, former Prime Minister of Pakistan. As the manifestation came nearer the Pakistani embassy, the student procession was stopped by police at Lainchour. Reportedly, the police blocked the students as King Birendra's vehicle was travelling nearby. Clashes between students and riot police occurred. Kathmandu is the capital city and largest city of Nepal with a population of 1.5 million in the city proper, and 5 million in its wider urban agglomeration across the Kathmandu Valley, which includes the towns of Lalitpur, Kirtipur, Madhyapur Thimi, Bhaktapur making the total population roughly 2.5 million people and the municipalities across Kathmandu valley. Kathmandu is also the largest metropolis in the Himalayan hill region. Nepali is the most spoken language in the city, while English is widely understood. The All Nepal National Free Students' Union is the politically based student organization in Nepal. The ANNFSU was founded in 1965. The original ANNFSU was later divided along ideological lines, and there are several organizations that emerged from it. The main ANNFSU grouping today is politically tied to the Communist Party of Nepal. But the abbreviation can be used to denote as a whole communist students organization in Nepal. The letter or word at the end defines particular communist group. For example: ANNFSU-R for Maoists, ANNFSU(Fifth) for Marxist-Leninists. As well as declaring itself a legitimate and independent students' organization of all progressive, democratic and patriotic students of Nepal, the mainstream ANNFSU is currently a member of the World Federation of Democratic Youth. The Nepali Congress is a social-democratic political party in Nepal. 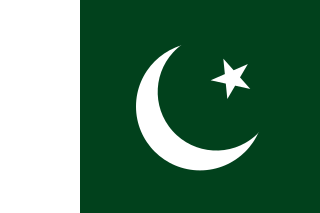 It is the largest opposition party in the House of Representatives and the National Assembly. 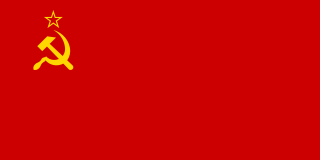 Communist Party of Nepal (Burma), initially known simply as Communist Party of Nepal or Communist Party of Nepal , was a communist party in Nepal. 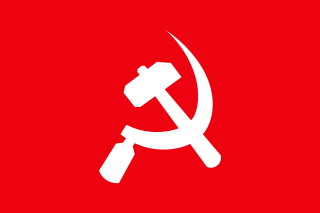 The party emerged from a split in the original Communist Party of Nepal in 1962, representing the pro-Soviet sector of the party. Its main leader until 1983 was Keshar Jung Rayamajhi, who had been the general secretary of the original CPN. Jumla District, a part of Karnali province, is one out of ten districts of Karnali. The district, with Jumla as its district headquarters, covers an area of 2,531 square kilometres (977 sq mi) and had a population of 89,427 in 2001 Nepal census and 108,921 in 2011 Nepal census. Jumla is situated in Longitude between 81⁰ 28' E to 82⁰ 18'East and Latitude between 28⁰ 58'N to 29⁰ 30'North. A referendum on the system of government was held in Nepal on 2 May 1980. Voters were offered the choice between a non-partisan panchayat system and a multi-party system. The panchayat system received a slim majority of 54.8%. Voter turnout was 66.9%. Elections were held to the Rastriya Panchayat in Nepal on 9 May 1981. 80% of the seats were elected through adult universal suffrage; this was the first election through universal suffrage held in Nepal in 22 years. However, political parties were banned at the time, and the main underground opposition forces called for a boycott of the election. Arjun Narasingha K.C. is a Nepalese politician, belonging to the Nepali Congress. He was the Joint General Secretary of the Nepali Congress (NC) and the spokesperson of the party. The Nepalese Ministry of Foreign Affairs abbreviated as MoFA is responsible for conducting external affairs of the Federal Democratic Republic of Nepal. Ministry of Foreign Affairs represents other line ministries and the Government of Nepal while dealing with other states. Currently Minister for Foreign Affairs of Nepal, the Rt. Hon. Pradeep Gyawali, is leading the Ministry of Foreign Affairs. Shankar Das Bairagi is serving as Foreign Secretary of Nepal. Rastriya Panchayat was the official legislature (parliament) (parliament) during the Panchayat regime of Nepal that effectively functioned from 1960 to 1990. Its head office was at the "Gallery Baithak" in Singha Durbar, Kathmandu. In the 1980s, it consisted of more than 120 members among which 105 members were directly elected by the people, while the king was to nominate 20 percent of its members, i.e. 19 members were nominated by the monarch. The Jayatu Sanskritam movement was begun in 1947 by students of the Tin Dhara Pakshala Sanskrit School in Nepal. 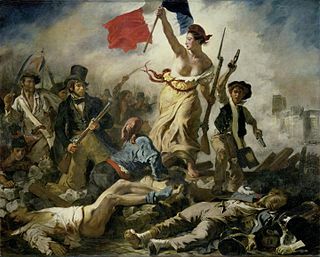 They demanded democracy, basic welfare, and the inclusion of modern subjects in their curriculum. It was the first student uprising in Nepal's history, and led to the Revolution of 1951 and the fall of the Rana dynasty. Vamsharaj Pande was a Nepalese politician, military officer and minister of state. He was a significant army commander of Kingdom of Nepal in the second half of 18th century. He was a follower of Bahadur Shah of Nepal and had a significant rivalry with Swaroop Singh Karki. Kirtiman Singh Basnyat was Mul Kaji of the Royal Court of Nepal between 1794 and his death on 28 September 1801. He was a military commander of the Nepalese Army. Swarup Singh Karki or Swaroop Singh Karki, was a Nepalese politician, courtier, military commander and minister. He was popular for his singing prowess and court conspiracies. He was selected as Dewan in the reign of King Pratap Singh Shah and a significant politician in the regent rule of Queen Rajendra of Nepal. He was one of the most influential court politician in the rule of King Pratap Singh and Queen Rajendralaxmi others being his rival Bahadur Shah of Nepal and Vamsharaj Pande. Vamsharaj was his perceived career rival. His life and career ended when Prince Bahadur Shah was appointed as regent in 1785. Sarbajit Rana Magar or simply Sarbajit Rana was a Nepalese politician, minister and courtier in the Kingdom of Nepal. He became a prominent minister during the regency of Queen Rajendra Laxmi and was a significant personality in central politics in the Kingdom of Nepal. He was assassinated by opponents of Rajendra Laxmi on the charges of having illicit relationship with the Queen. ↑ Devakota, Grishma Bahadur (1983). Nepalko Rajnitik Darpan: Political Mirror of Nepal-Referendum and Then After (1 ed.). p. 6. ↑ Shaha, Rishikesh. Politics in Nepal 1980-1990. New Delhi: Manohar Publications, 1990. p. 48-49. ↑ Shaha, Rishikesh. Politics in Nepal 1980-1990. New Delhi: Manohar Publications, 1990. p. 49, 51. ↑ Shaha, Rishikesh. Politics in Nepal 1980-1990. New Delhi: Manohar Publications, 1990. p. 50. ↑ Baral, Lok Raj. Nepal 1979: Political System in Crisis in Asian Survey, Vol. 20, No. 2, A Survey of Asia in 1979: Part II. (Feb., 1980), pp. 197-205. ↑ Shaha, Rishikesh. Politics in Nepal 1980-1990. New Delhi: Manohar Publications, 1990. p. 51, 69.